Without getting too esoteric and lofty: Fire is cool. Destructive yet vital. Hypnotic and archetypal. 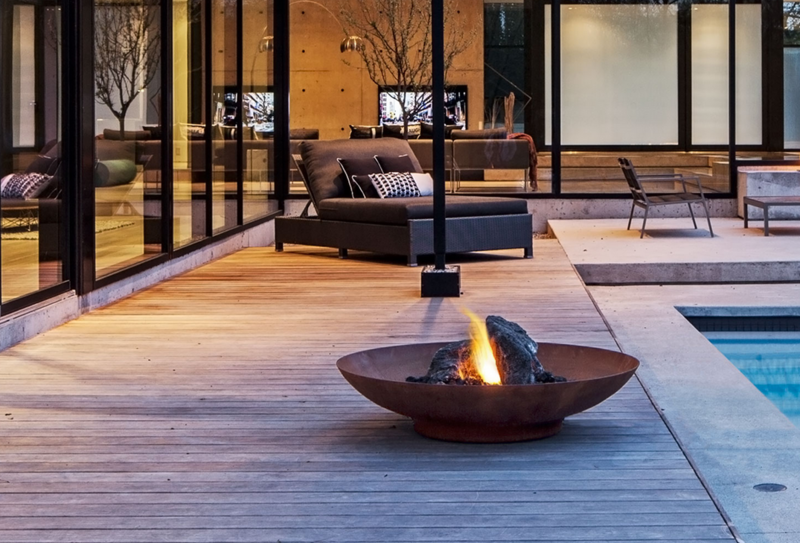 And for the cooler season, we have some ideas for what is possible with the element of fire in and outside the home, from mystical fire spheres to modernist geometric pits, and even a few accessories for storing logs in style. Things are getting hot. 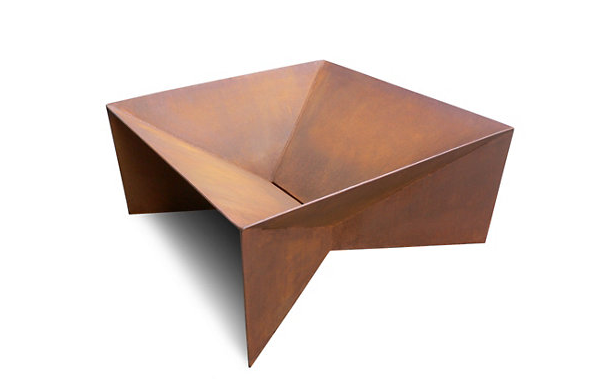 John Paul Plauché found design by way of architecture. 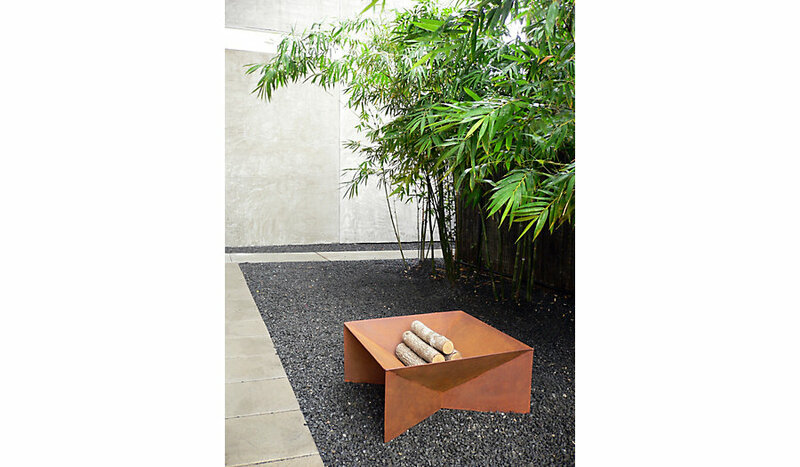 His handcrafted Geometric Fire Pit (see below) features A36 low-carbon steel and works with both charcoal and wood. This type of steel continues to rust until it achieves that glorious weathered and protective patina. This item is made in the U.S. and available at Design Within Reach. 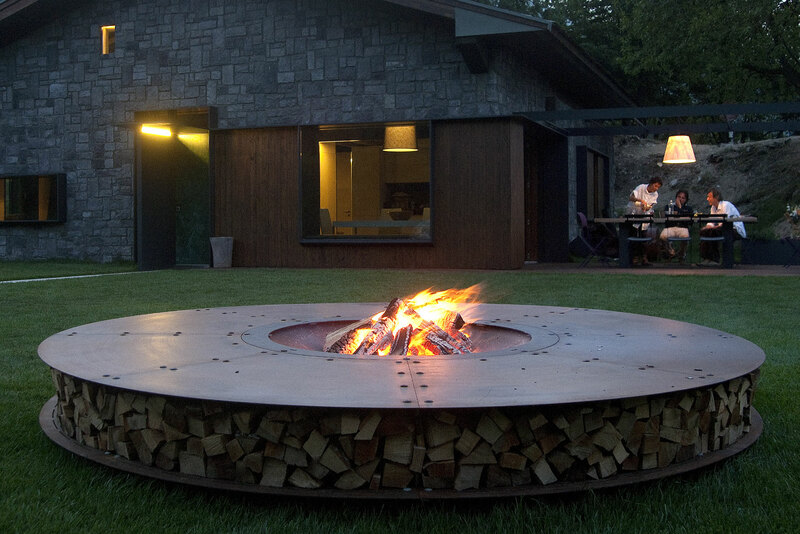 Paloform from Toronto, Canada, has a mind boggling array of fabulous fire pits, but what really sold us is their mission statement and philosophy. They are all about local, handmade, humble materials, and the union of “industry and alchemy.” The idea is that design doesn’t exist in a vacuum in and of itself but serves to “improve our lives.” See their Robata, Bol and Miso designs below, as well as the Bol collection image at the very top. They ship worldwide. Minimalism aside, sometimes we want something utterly unique and ornate. 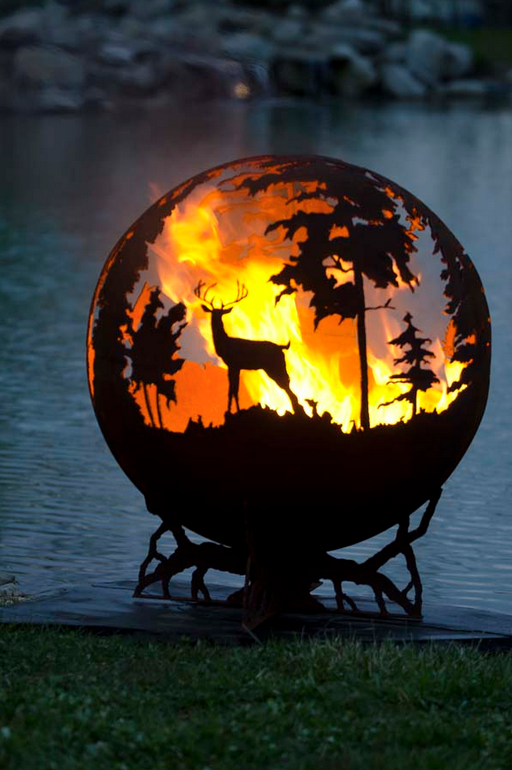 Artist Melissa Crisp of The Fire Pit Gallery creates these magical hand-cut spheres. 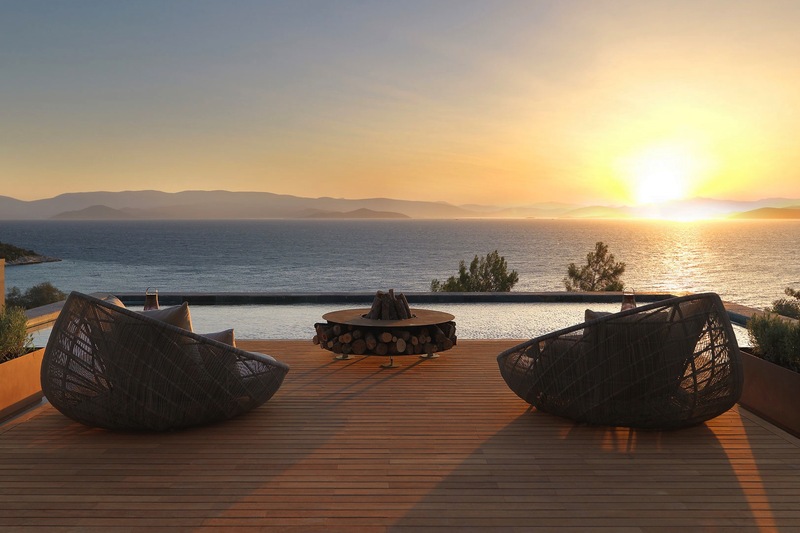 Your mind and hers are the limit when it comes to their design. 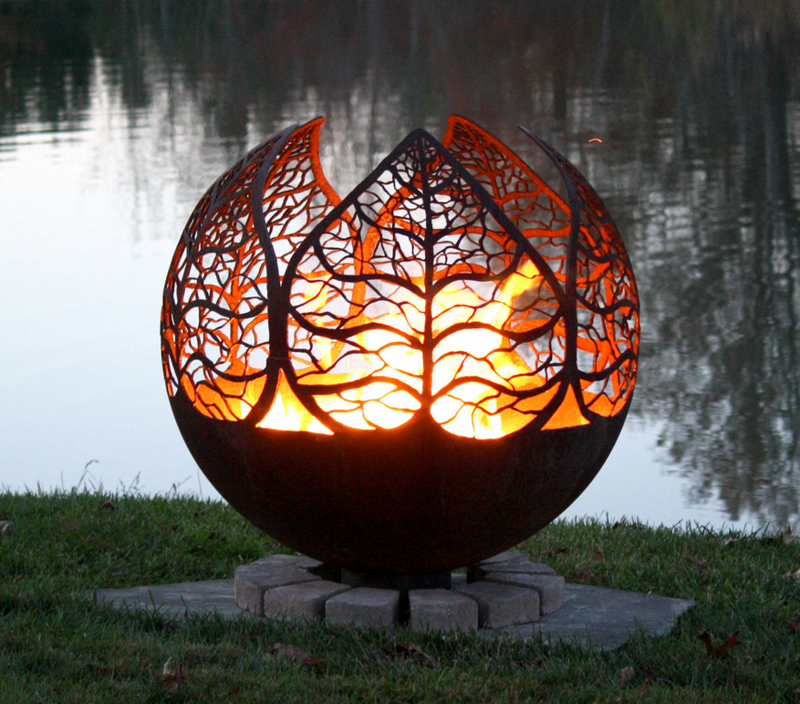 Check out her Up North Fire Pit Sphere and Autumn Sunset Leaf Fire Pit Sphere. You must visit the site. These two images below do not do her creations proper justice. 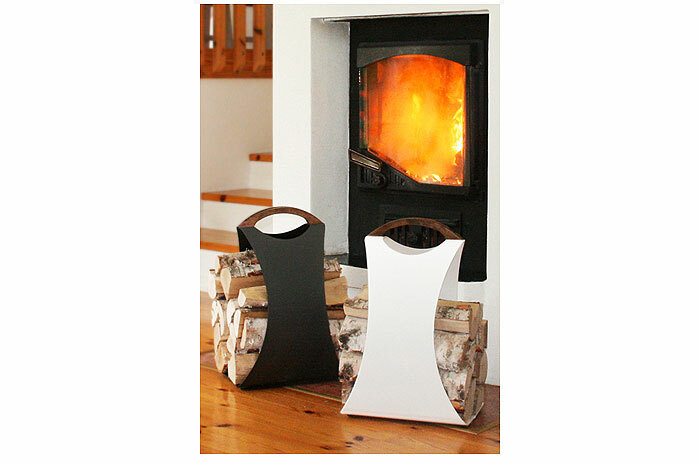 The geometric Bebop Fireplace Wood Rack, made in Germany by Bauhaus-favoring blomus, is crafted of stainless steel and available at www.yliving.com. AIKAdesign from Finland proffers the ergonomically designed Hali Wood Carrier (available in large and small), created to be practical and functional. So it’s not merely a nice-looking object, but is as easy to carry as a grocery bag. 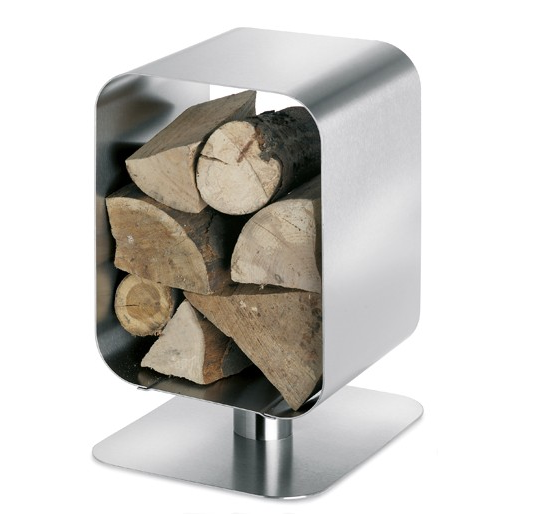 The Syli Wood Rack allows you to store your logs in style. It comes with one little shelf, but you can add as many as ten. 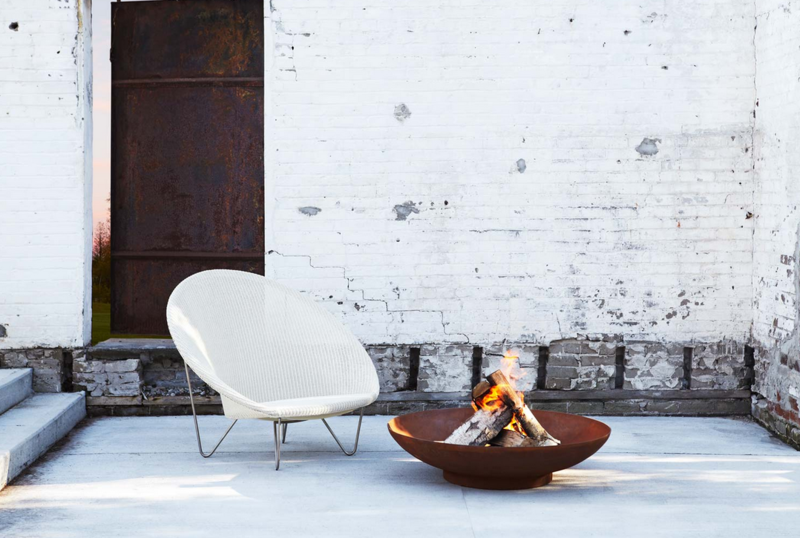 Now you just have to fire up your own imagination and bring some creative heat to your living space.